A recent video by Fr. Robert Barron, “Gay Marriage and the Breakdown of Moral Argument,” called to mind just how right Jefferson was. In his great text, After Virtue, the philosopher Alasdair MacIntyre laments not so much the bad state of morals in the west, though that’s true enough, but he laments something deeper, and more fundamental; namely, the fact that we’ve lost the capacity even to have a coherent moral conversation. I applaud Fr. Barron for attempting to, as he said, “clear the fog” surrounding this topic, but the video leaves unanswered the million dollar question, why? Why is this culture so incapable of conversing on moral issues? Why does the mere suggestion of an objective moral order strike otherwise intelligent people as discriminatory? Why are so many among us apparently willing to accept the foolish proposition that society can establish meaningful moral standards by way of surveys and polls? I would suggest that one of the primary reasons our culture has so comfortably relegated morality to the realm of competing opinions, wherein every man’s view is as valid as the next (unless, of course, said man is a Christian) is that the voice of Christ that guides all men in the ways of objective truth has grown faint thanks to generations of timid churchmen who are no longer willing to proclaim the solitary pathway to a truly just society; namely, the Sovereignty of Our Lord Jesus Christ. And yet the hierarchs of our age do not dare, preferring instead to seek refuge on the mythical level-playing-field proposed in the Declaration of Religious Freedom of Vatican II, behaving as if it is simply a matter of humility and good manners to pretend that the Lord Jesus Christ has no more rights in society than the many false deities of the world. 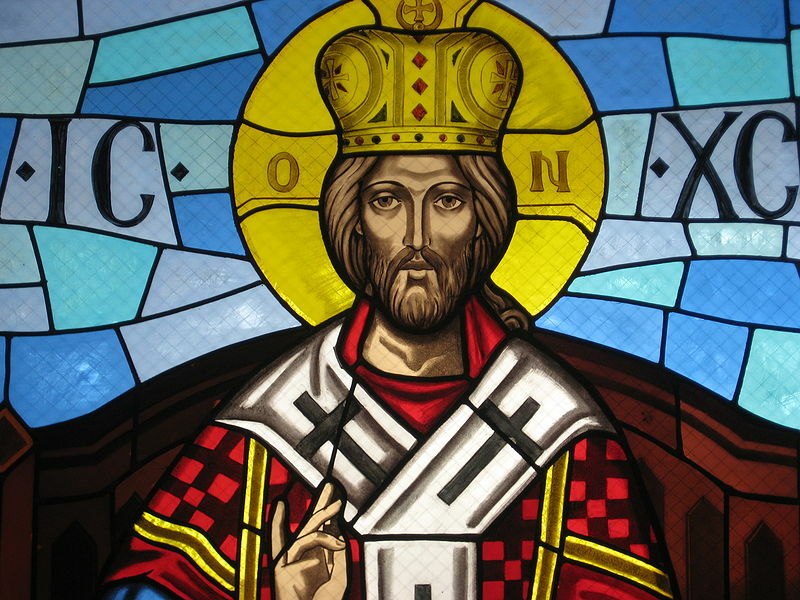 One cannot but recognize that the majority of Catholic clerics today stand practically mute in the face of those who have yet to accept the “sweet and saving yoke” of Christ the King, paralyzed for fear of (God forbid!) offending anyone’s sensibilities. Indeed, it appears that Pope Francis may have adopted, at least in some measure, just such an attitude. Of course our culture is unable to have “a coherent moral conversation” as this would require that one at least acknowledge the existence of an absolute moral order, the likes of which can scarcely be known apart from Christ the King, the Supreme Lawgiver who reigns over society, the same that the Catholic Church has utterly failed to proclaim for more than four decades! I’m all in when it comes to fighting the good fight against those who are hell bent on jamming “gay marriage” down our collective throats, but while I’m certain that Christ will ultimately win the war, this is a battle that I fully expect the followers of Christ to lose. Because presidents, legislatures and judges that serve the Evil One and the godless culture they intend to create are precisely the chastisement that our timid churchmen invited upon the children of the Church “to the third and the fourth generation” the moment they decided that it was expedient to cease calling rulers of State to account for their obligation to recognize and to serve Christ the King. NOTE: All of the quotes attributed to Pope Pius XI herein are taken from the Encyclical, Quas Primas, wherein His Holiness established the Feast of Christ the King. We who wish to march under the banner of Our Sovereign Lord have an obligation to know and to share – as far and as wide as possible – the magnificent doctrine of our Catholic faith contained in this all-too-often ignored Encyclical. That the clergy in our day are largely unwilling to do so only lends urgency to the matter. To that end, I offer for your consideration a new faith formation tool designed for either personal use or for use in a group study program, Traditio Faith Formation Series: Quas Primas. The Encyclical of Pope Pius XI is reprinted therein (© Libreria Editrice Vaticana) in its entirety, along with insightful commentary, followed by three lessons with Scripture references that aid participants in coming to a firm understanding of the immutable doctrine concerning the Kingship of Jesus Christ.